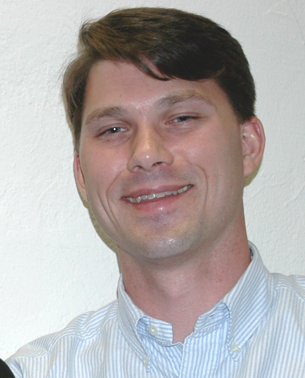 The Kingwood Center in Mansfield, Ohio recently appointed Christopher Roddy as its visitor services manager beginning February 6, 2012. This position oversees many aspects of the museum and gardens, including interpretation and educational/public programs; admissions, security, and volunteers; developing marketing initiatives; and the way-finding plan for the site. Built in 1926 for Mr. and Mrs. Charles Kelley King, the 47-acre estate opened as a public garden in 1953, one year after Mr. King’s death. He left most of his estate to the private foundation that continues to operate Kingwood Center today. Chris leaves Villa Finale, a National Trust Historic Site in San Antonio, Texas. He was part of the team that transitioned Villa Finale from a private residence to a public historic site, joining the fledgling staff as the buildings and grounds manager in July 2007 to plan and manage all the capital projects. Among his major accomplishments are the remodeling of the Villa Finale visitor center; restoration and weatherstripping of all 65 windows and doors on the main house; and renovation of the carriage house to provide offices, collections storage, an ADA-compliant restroom, and a sitting room for visitors. He also implemented a two-pronged approach to storm water management, transitioned the landscape from chemical to organic management, and established the cyclical maintenance plan, safety and security policies and procedures, and disaster preparedness plan. Chris received his bachelor’s degree in geography and historic preservation from Eastern Michigan University in Ypsilanti, Michigan, and attended the Building Preservation Technology program at Belmont Technical College in St. Clairsville, Ohio. He and his wife, Melanie, own a 1927 bungalow in Akron, Ohio. BTW: Villa Finale is currently seeking a director–it’s in a wonderful historic neighborhood (the first historic district in San Antonio, I believe) that’s actively engaged with the local community. This entry was posted in Historic preservation, Leaders in the field and tagged Christopher Roddy, Manfield Center, Michael Anderson, National Trust for Historic Preservation, Sandra Smith, Villa Finale on January 19, 2012 by Max van Balgooy.